Want to out-spooky everyone else this Halloween? 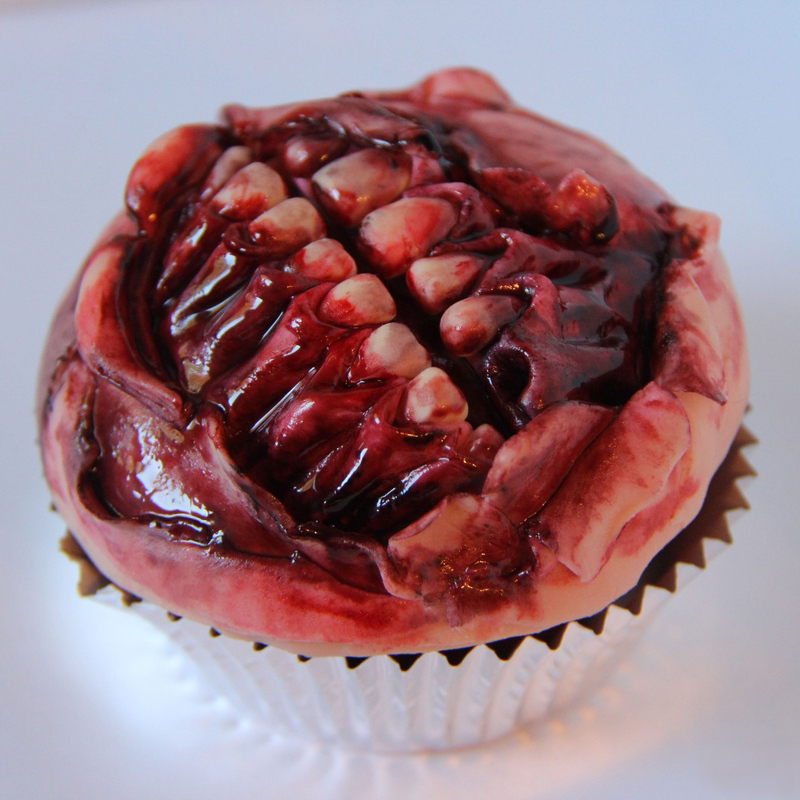 Well, be careful, because these horrifying cupcakes just might be too repulsive even for the holiday. Depicting a human mouth with the skin pulled back to reveal decaying gums pooling with crusty blood, these pastries aren't for the faint of heart. But once you get your appetite back, they’re definitely worth eating. To make these disgusting-looking treats, start with a basic cupcake. Cover the surface of the cupcake in fondant, sculpt the gum cavities with quilting tools, insert the teeth and then peel the skin up around the mouth. For the full effect, though, you've got to get artistic with your bloodstains. With a mix of vodka and food dye, liberally apply your oozing gore all over the mouth, making a special point to get it in the holes and openings. For full instructions on how to create this frighteningly realistic Halloween treat, check out the step-by-step directions on Instructables. And check out more horrifyingly gruesome baked goods by the creator of these cupcakes—including eyeball cake pops, finger cake bites and more—at cookiedoughshop.com.